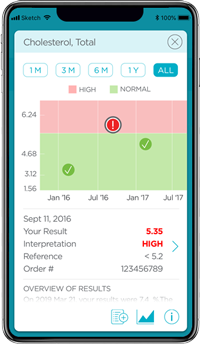 Better manage your health anytime, anywhere, on any Apple iOS or Android device. Track and trend your lab results over time with simple graphs and trending charts. 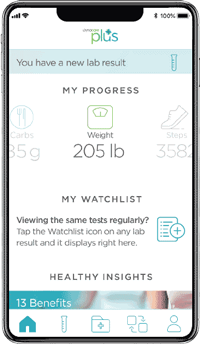 Sync to apps and wearables to track progress of your health goals. 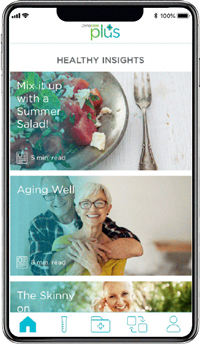 Sync with the Sugar Sense app to manage your diabetes and follow treatment plans. Access your lab results and understand what they mean. Track and trend your health data like diet, sleep, weight, activity, blood sugar, and more. Access all your personal health information in one spot. Manage health conditions, follow treatment plans and trend progress with the help of connected apps Sugar Sense and My Diet Diary Calorie Counter. Even with expert medical professionals at your side, when it comes to your health, there’s no one more important than you. Dynacare Plus helps you take an active role in managing your health. You get timely information and insight on lab test results and other health knowledge. You will track results over time and see how you are progressing. If you’re an Ontario or Quebec resident, now you can get your lab test results online, as soon as they are ready. 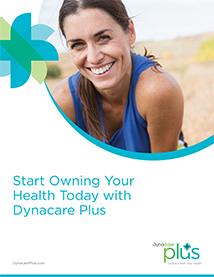 With Dynacare Plus you have your own secure, private account that can be accessed from any computer, tablet or smartphone. If you have your Dynacare Plus PIN, create your account today! Already have an account? Log in here. Need a Dynacare Plus PIN? Ask for one at your next visit to a Dynacare location.